Our young mother demonstrates her affection for her child by drawing her close for a kiss. The warmth of a mother and the love that only she carries for her child is immeasurable and divine. 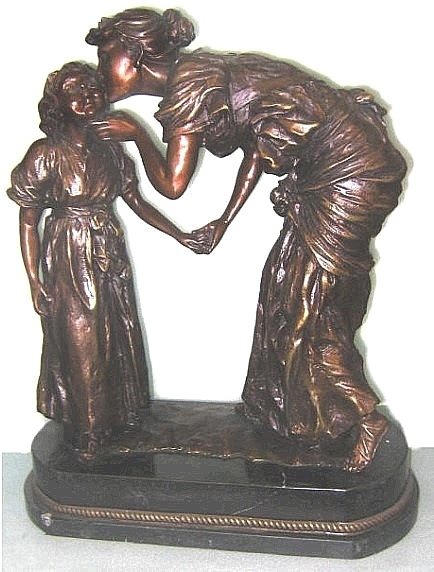 This inspiring sculpture is a tribute to mother and makes a fine gift for mom on Mother's Day. Hand finished and crafted from bronze.